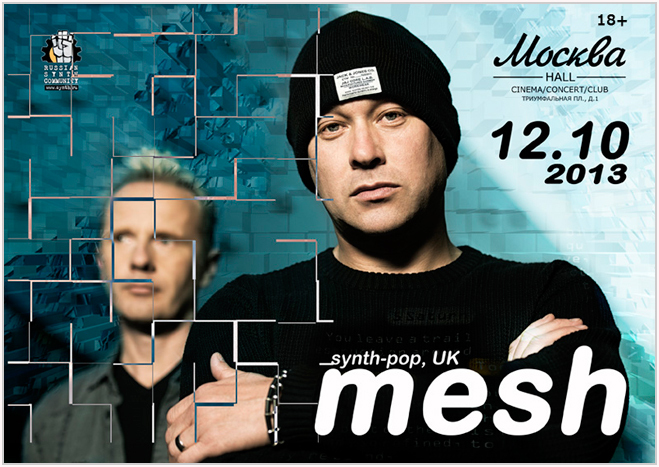 Heroes of British synth-pop mesh will play a show in Russia in support of their new album «Automation Baby» and perform new songs and old hits! 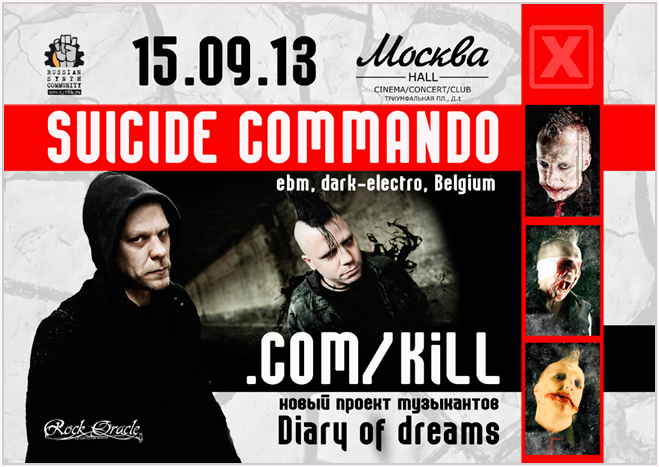 The masters of dance industrial SUICIDE COMMANDO are coming back to Russia with another portion of pure adrenalin which is their album «When Evil Speaks». 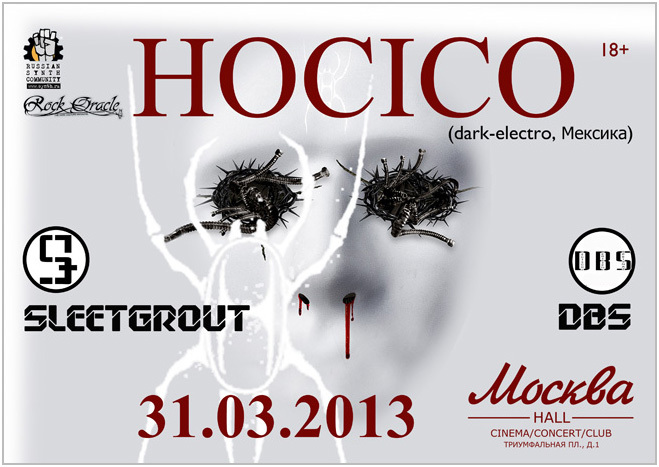 They will be supported by a new project of musicians from Diary of Dreams – .COM/KILL! The headliners of industrial dance floors and market makers of extreme electro, Mexican dark-electro duet is coming back to Moscow with the new album “El Ultimo Minuto” and old hits! 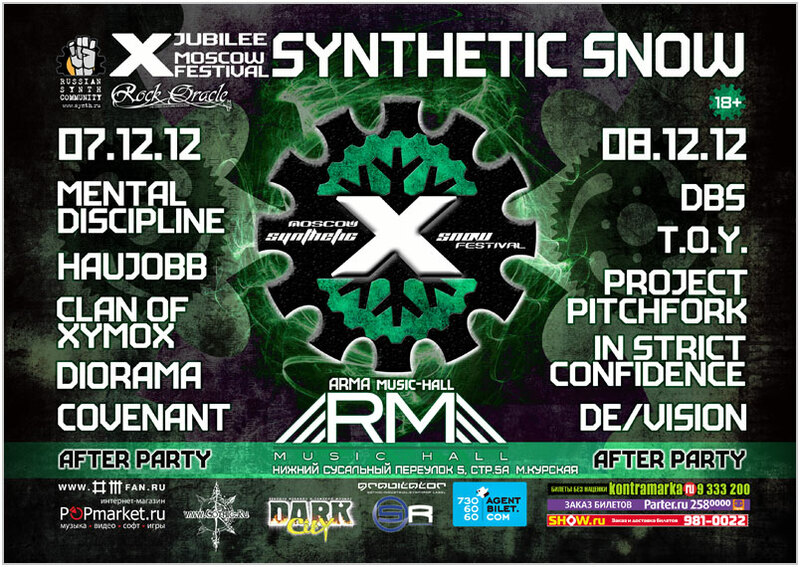 Russian Synth Community invites you to celebrate its first anniversary and the beginning of the second decade in a grand company of the most famous and interesting representatives of the alternative electronic music scene at the «X Synthetic Snow Festival»!